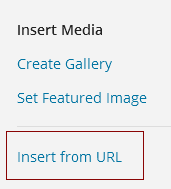 If you try to load a video or picture into your WordPress blog using the Media menu, you will find that you can only do files up to 64Mb. So what do you do with larger files? You can upload them from the file manager in your Cpanel. It is a simple process but even when you have it uploaded there is still work to do to get it into a post or page! First lets get the file in there before worrying about the rest. First Step - go click on the file manager icon in the Files menu. Next you have to select the directory where your files are stored, don't worry it points you to the default directory so unless you have moved the files this will be right and you can just click on the OK button. After this you are into the file management area. Word of warning don't go playing about in here as you could mess up your whole blog. get in and get out clean! You are looking for the wp-content directory double click on it and this will take you to the next level. In here you are looking for the uploads directory , again double click to get in to it. Once inside that directory you are going into the year directory, again double click to get you to the months directory where you want to select the current month. When you get in here you are ready to upload your file. Click on the Upload button and you will be taken to a new screen that will allow you to pick the file you want to unload. Click on Browse and find the file you want to upload. when you find the file double click on it and it will automatically be uploaded. There you have it a large file unloaded into your media directory. The only thing left is to let your post / page know where it is. You need to record where the file is and what it is called so you will have the URL of the file. This will be something like - http://YOURDOMAIN.COM/wp-content/uploads/2015/01/FILE-NAME.JPG you are going to need this when using it in your post. Using the file in a post. From the main post screen click on the Add Media button this will take you into the load media screen. In the load media screen click on the insert from URL option on the left. When this is loaded you will want to enter the address of the file you uploaded in the space provided and click on the Insert in Post button at the bottom. 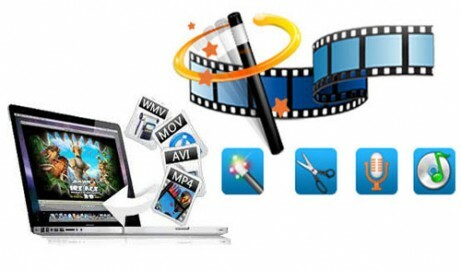 What to do with video files? You can change the width and height to suit your video and theme. Now you have the video in your post or page. That is that you now have a large file uploaded to your media library and positioned in one of your posts.